St Mary Magdalene is one of several medieval churches which are on the edge of the Ipswich urban area, but outside the borough's boundaries by the whim of a bureacrat's pen. Ipswich claims thirteen surviving parish churches of medieval origin, but could easily claim half a dozen more if that cunning pen were to wish it. Westerfield is perhaps the town's most genteel suburb, with none of the pretentiousness of Rushmere St Andrew, or the hubbub of Kesgrave. 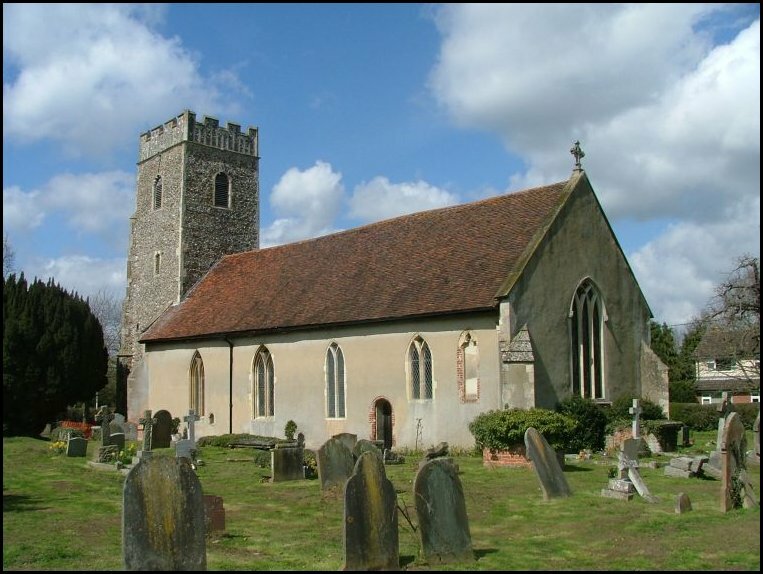 The setting of Kesgrave's medieval parish church is thoroughly urban; but here, as at Rushmere St Andrew, one might imagine oneself in a quiet village in the middle of nowhere. Along with Bramford and St Margaret, St Mary Magdalene is one of the prettiest and most interesting of the churches in the Ipswich urban area. The tower is a grand affair from the early 15th century, but the nave has some nice Early English details, including Y-tracery windows. The Victorians replaced the south door with a window, but you can still see the Holy Water Stoup they exposed. This is a small and lovely church. The modern extension to the north is very well done. It replaced a 19th century schoolroom. The first time I visited was on a late Saturday afternoon in winter about eight years ago. The woman hoovering the chancel didn't hear me come in, and nearly jumped out of her skin when she saw me. This is as good a way of opening a conversation as any, I suppose, and she happily showed me round. Today, the church is open to visitors every day. The modern entrance is through the extension, but traditionally you enter St Mary Magdalene from the west, which is quite unusual in Suffolk. Mortlock gets rather excited about the stop on the left hand side of this doorway, which shows a figure kneeling in foliage. He supposed it to have a local significance, lost now in the mists of time. 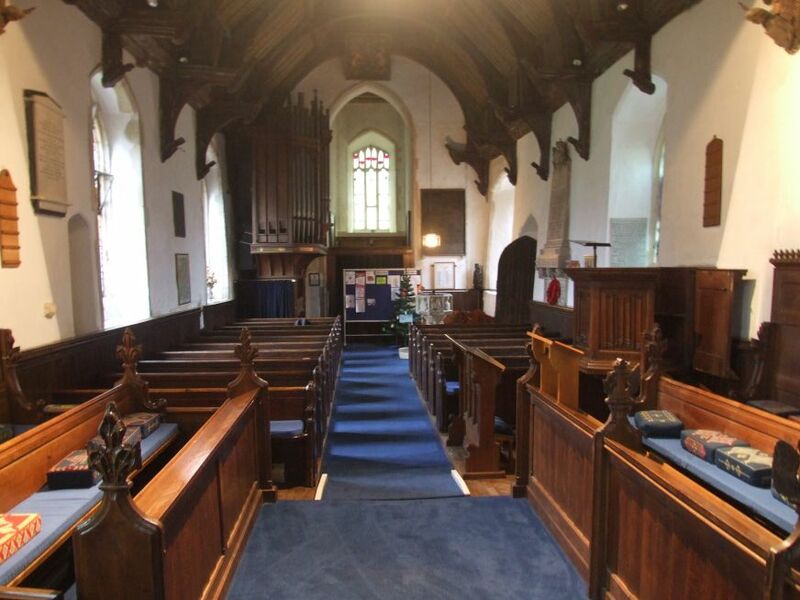 This church is a treasure-store of two periods; the 15th century, and the late 19th/early 20th centuries. 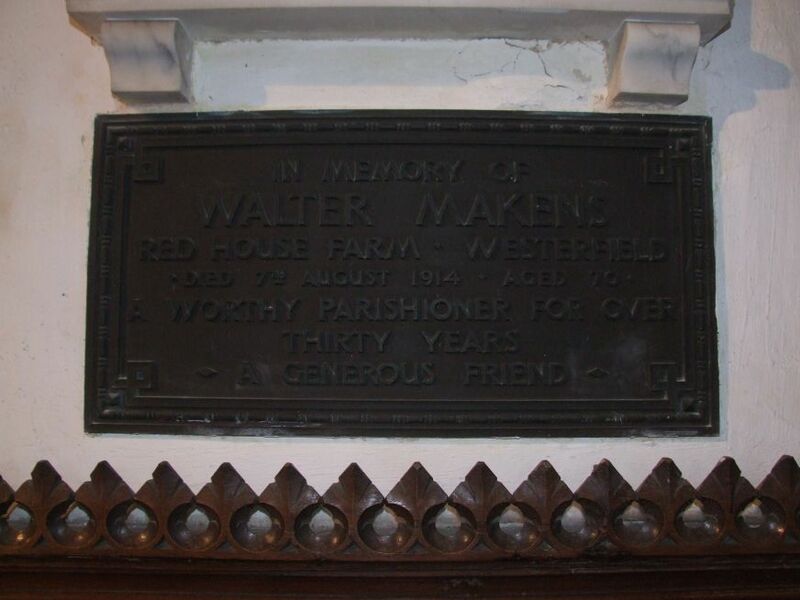 It was also the home church of one of the major figures in Suffolk church history. The Morris and Company glass is one of the finest collections in Suffolk, dating from the 1860s to the 1920s. 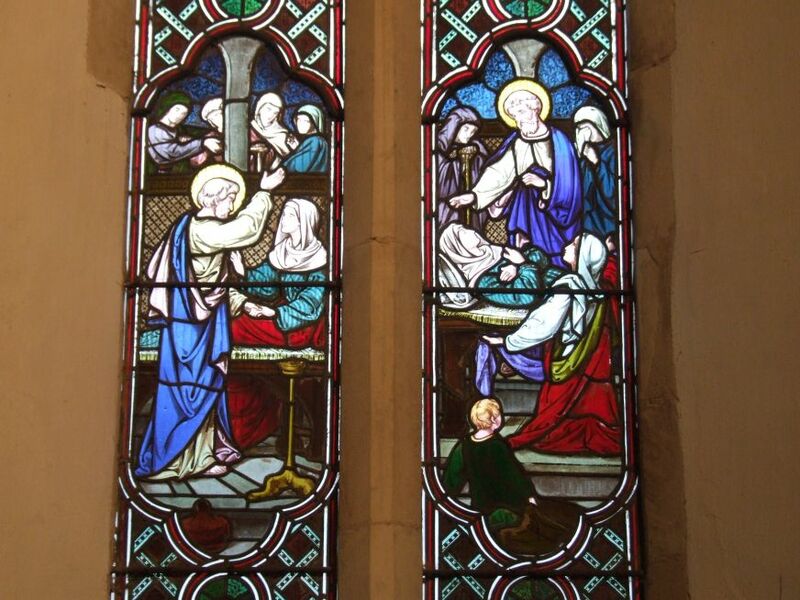 The best is that of St Mary of Magdala herself in the west window. This was actually designed by Morris himself, and uses the the same cartoon as the one at Antingham in Norfolk. St Michael is a later work of the same workshop; I like it, although the general consensus is that the work of the studio declined as the years went by. 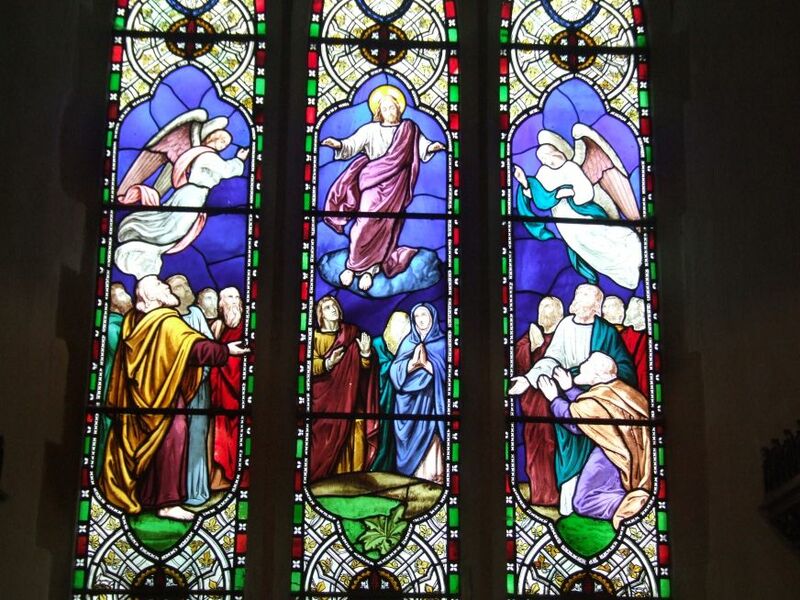 The Resurrection, by Edward Burne-Jones, is even better. The roof is one of Suffolk's best small hammerbeam roofs, and is unusual in that it stretches over both nave and chancel. It is offset by a fine surviving rood beam. This was the beam in front of the rood on which candles were burnt; it is castellated like the one at Ufford, but is rather more substantial than that one. The rood structure has, of course, disappeared, but a remarkable survival is the series of figures on the hammerbeam ends in the roof; angels in the nave, and kings and queens in the chancel. Some of them are modern copies, but some are not, and anyone used to the angels far off in the roof at Blythburgh will find their proximity here breathtaking. The war memorial, reredos and lectern are the work of diocesan architect H. Munro Cautley, author of the seminal Suffolk Churches and their Treasures. They are in his usual ponderous style, but executed with a great deal of love and attention. 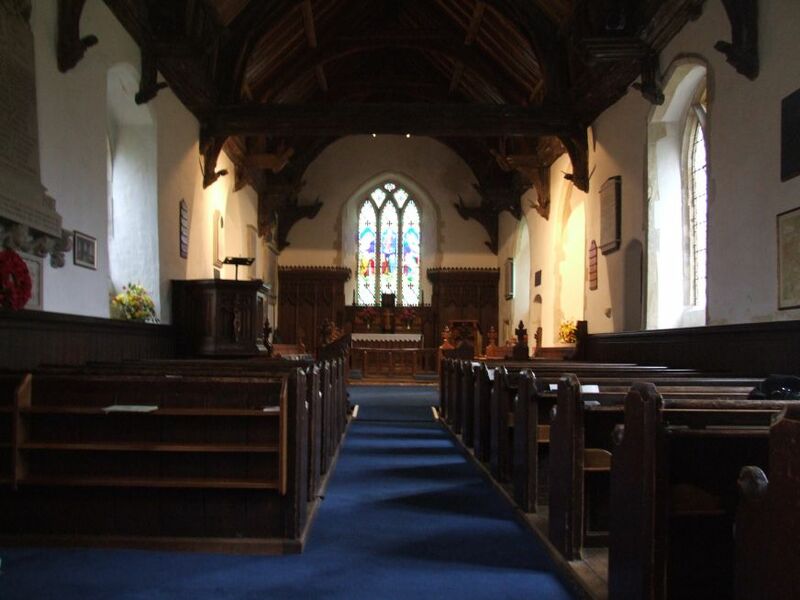 This is largely because Cautley worshipped in this little church for more than sixty years, for some of which time his father was vicar. A tender memorial with roundel portrait is set in the north wall of the chancel. He is buried in the churchyard.